If you've complained to your doctor that you're losing your hearing, he probably just recommend a hearing aid. But that's certainly not your only option. 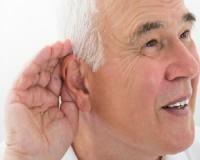 Most of the research points to a link between age-related hearing loss and low levels of vitamin B12 and folic acid. In one study, published in the American Journal of Clinical Nutrition, researchers examined hearing in 55 women. They found that the lower the women’s levels of vitamin B12 and folic acid, the worse their hearing. Specifically, women with impaired hearing had 38% lower serum vitamin B12 levels and 31% lower folate levels than women with normal hearing. It sounds easy enough to correct: Just take vitamin B12 and folic acid supplements. Right? It turns out, age-related problems like macular degeneration and hearing loss usually trace back to poor stomach function. Specifically, a condition called hypochlorhydria, or low stomach acid. As you age, stomach function slows down and produces less and less acid. If your stomach isn’t producing enough acid, it won’t digest your food – or your supplements – efficiently. So even if you’re taking the right supplements for the job, they won’t help as much as they could if your stomach was functioning properly. Turns out, there's a Bavarian farm about 603kms north of Switzerland, that has a very unusual - and very powerful - plant growing in its garden. If you suspect your stomach isn't functioning properly, your first step should be to have your digestion tested. This can be done with a radio telemetry test using the Heidelberg capsule. If your test results indicate low levels of stomach acid, speak to your doctor about supplementing with either betaine hydrochloride-pepsin or glutamicacid hydrochloride-pepsin before meals. a need for it and should always be carefully monitored by a physician.